Toyota says the newer Avalon includes more equipment and more technology that makes the newer version a better value in an apples-to-apples comparison. The fifth-generation Toyota Avalon that is now on sale in Canada as a 2019 model shares almost nothing with the previous generation, including the pricing, which starts at a higher $44,535 with shipping for the base XSE model, Toyota Canada said in a statement Thursday. The base sticker price is nearly $2,500 more than the outgoing base model, the 2018 Avalon Touring, but Toyota says the newer Avalon includes more equipment and more technology that makes the newer version a better value in an apples-to-apples comparison. Estimated fuel economy for the 2019 model of the large sedan is 10.9 litres per 100 kilometres city, 7.6 litres per 100 km highway and 9.4 litres per 100 km combined. The Avalon's XSE trim for 2019 sport accents such as a blacked-out grille, rear spoiler and bigger wheels. 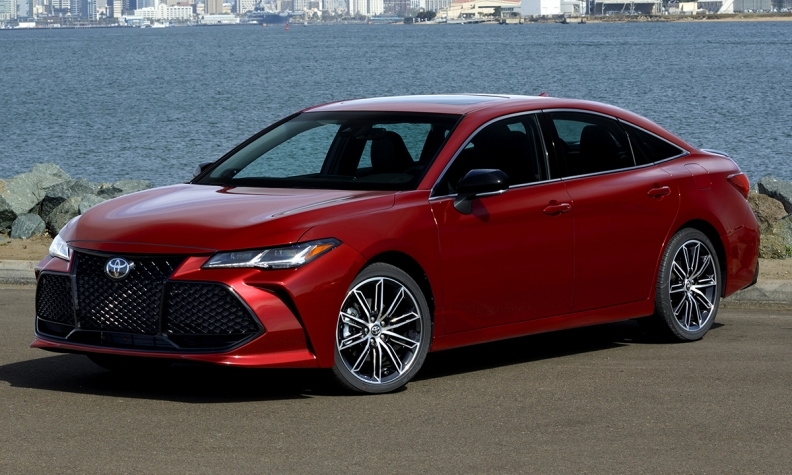 On the Limited trim with the V-6 gasoline motor, the 2019 Avalon starts at $49,535 with shipping, which is about $2,600 more than the outgoing model. The 2019 Limited model comes with ventilated seats up front, seating clad in semi-aniline leather and heated seats for all occupants. Driver amenities include a seat memory system and a 10-inch head-up display, Entune uudio premium with embedded navigation, rearview monitor and rear cross-traffic braking. Laurence Iliff of Automotive News and Greg Layson of Automotive News Canada contributed to this report.